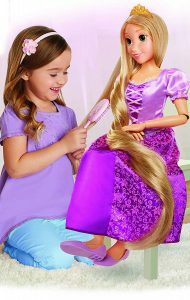 If you know of any little girl who adores Disney Princesses, then this super large Rapunzel Doll is a must buy for Christmas. Standing at an astonishing 32in tall she will most definitely steal the show on Christmas morning with the biggest wow factor. Not only is she as tall as my 5-year-old daughter, but she boasts the most beautiful hair and moves easily for hours of imaginative play. When I received Rapunzel for review, I didn’t estimate how big she actually was! Once I had taken her out of the box, both my husband and I stood back open mouthed and actually said “wow” – she certainly had a great first impression. She has 11 points of articulation, at the neck, shoulders, elbows, wrists, hips and knees, making her perfectly posable for any scenario your little one’s imagination can muster-up. Her long blonde flowing hair really is amazing, and as she comes with a hairbrush, you can help style her stunning locks completing the look with her removable Tiara. She is dressed in her purple dress, just as she is in her Disney movie Tangled. Her dress is fully removable, as is her shoes. This Rapunzel doll is very likely to become your new ‘BFF’. 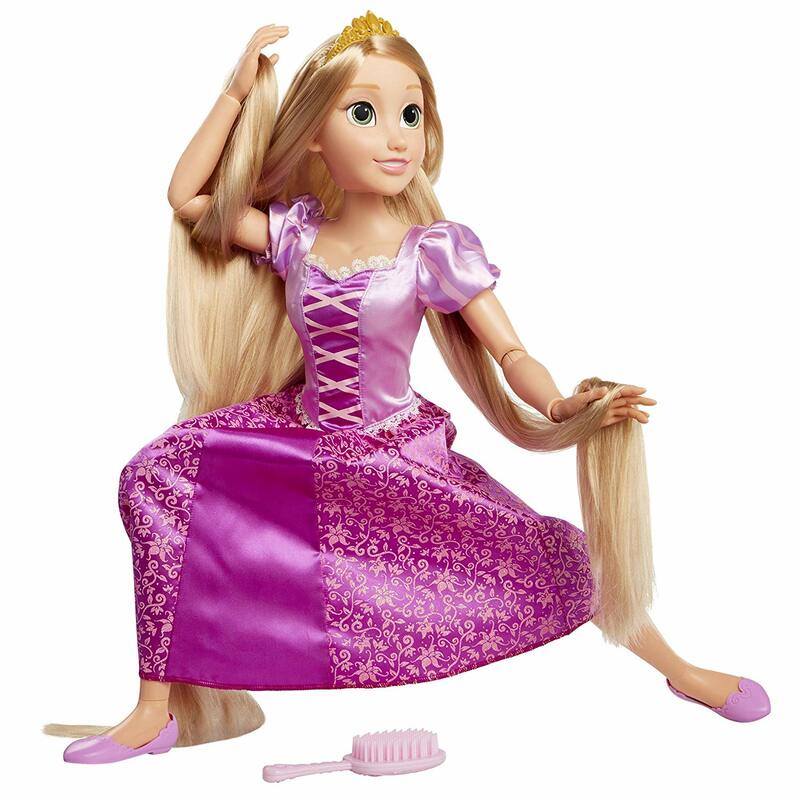 The Rapunzel Doll from Playdate has an RRP of £59.99 and is available from Argos.